I wanted to share something with you about the Assumption. For some reason, as I prayed I felt drawn to a book I read quite a while ago, “The World’s First Love, Mary, Mother of God” by Archbishop Fulton J Sheen. I looked through the Contents, and found the chapter on the Assumption. And when I began to read it, I saw that I had underlined almost every word of that chapter! It is a blockbuster! Within three decades the definition of the Assumption will cure the pessimism and despair of the modern world. Freud, who did so much to develop this pessimism, took as his motto; “If I cannot move the Gods on high, I shall set all hell in an uproar.” That uproar which he created will now be stilled by a Lady as powerful as an “army drawn up in battle array.” The age of the “body beautiful” will now become the age of the Assumption. In Mary there is a triple transition. In the Annunciation we pass from the holiness of the Old Testament to the holiness of Christ. At Pentecost we pass from the holiness of the historical Christ to the holiness of the Mystical Christ or His Body, which is the Church. Mary here received the Spirit for a second time. The first overshadowing was to give birth to the Head of the Church: this second overshadowing is to give birth to His Body as she is in the midst of the Apostles abiding in prayer. The third transition is the Assumption, as she becomes the first human person to realize the historical destiny of the faithful as members of Christ’s Mystical Body, beyond time, beyond death, and beyond judgment. Mary is always in the vanguard of humanity. She is compared to Wisdom, presiding at creation; she is announced as the woman who will conquer Satan, as the Virgin who will conceive. She becomes the first person since the Fall to have a unique and unrepeatable kind of union with God; she mothers the infant Christ in Bethlehem; she mothers the Mystical Christ at Jerusalem; and now, by her Assumption, she goes ahead like her Son to prepare a place for us. She participates in the glory of her Son, reigns with Him, presides at His Side over the destinies of the Church in time, and intercedes for us, to Him, as He, in His turn, intercedes to the Heavenly Father. Adam came before Eve chronologically. The new Adam, Christ, comes after the New Eve, Mary, chronologically, although existentially He preceded her as the Creator a creature. By stressing for the moment only the time element, Mary always seems to be the advent of what is in store for man. She anticipates Christ for nine months, as she bears Heaven within her; she anticipates His Passion at Cana and His Church at Pentecost. Now, in the last great doctrine of the Assumption, she anticipates Heavenly glory, and the definition comes at a time when men think of it least. Archbishop Sheen clearly sees that Mary, in her Assumption, is the key to our age of despair. In Mary, humanity has hope. In her Assumption, life again has meaning. We are not creatures without souls, and without an eternal future. We are called to live forever with our God, who loves us, and Mary shows us the way. I also find it interesting that in 1952 Archbishop Sheen would project that in three decades after the Dogma was declared “the definition of the Assumption will cure the pessimism and despair of the modern world.” This is a huge claim. Sheen died in 1979, just shy of the three decades. What came next he could not have foreseen. Our Lady came to Medjugorje in 1981 and since then has been curing pessimism and despair in millions of her children. 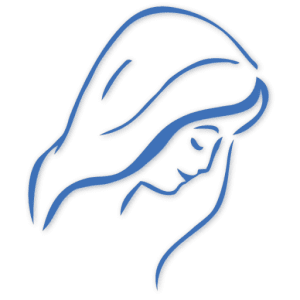 Through her presence, her messages and her intercession, Mary is reversing the terrible curse of atheism and despair in the world, one person at a time. I also believe that Our Lady in Medjugorje has set up camp, declaring that she is with us in our fight against Satan and all evil. She is with us to help us draw close to her Son and to learn to live in Him. She is with us in these days to be Jesus’ compassionate Mercy for us. She intercedes in our midst, in Medjugorje, to bring about the Kingdom of Heaven in us. The Dogma of the Assumption is bearing great fruit in our day, as Sheen said. 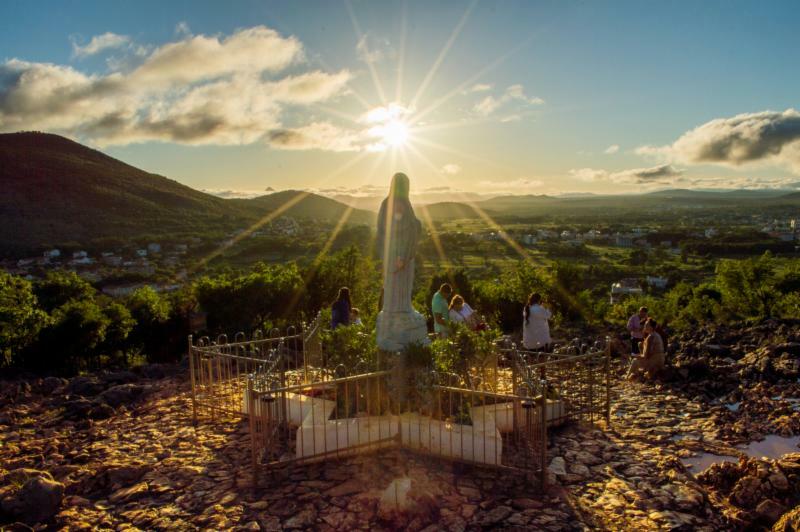 It is curing pessimism and despair, and bringing us heaven through Our Lady’s presence in Medjugorje!! If Sheen is right and Mary is the advent of all of God’s great works, the Incarnation, the Passion, the Birth of the Church, and now Heavenly Glory, then her coming to Medjugorje must be the advent of the coming of her Son. She is here to prepare the way for His coming! https://marytv.tv/wp-content/uploads/2016/12/MaryTV-Logo.jpg 700 700 Cathy Nolan https://marytv.tv/wp-content/uploads/2016/07/weblogo_sm_1.0.png Cathy Nolan2018-08-15 00:34:122018-08-15 00:35:24The Assumption of the Blessed Virgin Mary! St. Maximilian Kolbe, pray for us! Forgive!